Exclusive or invitation-only access is a compelling marketing strategy that continues to grow in popularity. 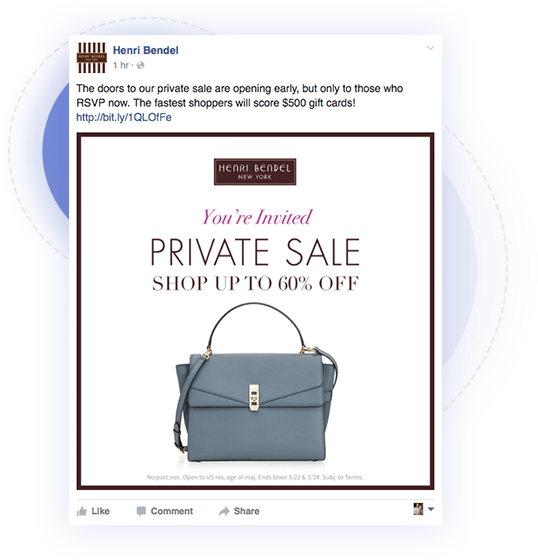 As a luxury retailer, Henri Bendel was looking for a unique way to execute their seasonal sales events. Their brand team was concerned with maintaining brand integrity while being heavily promotional. 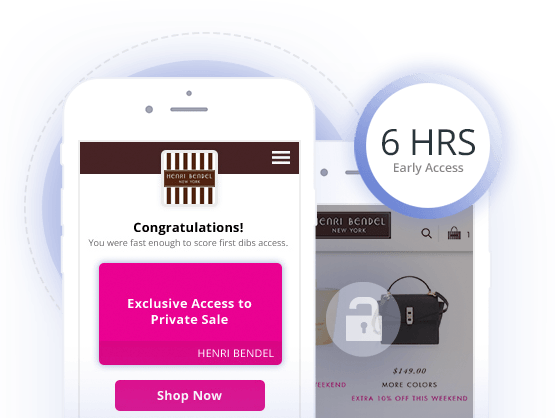 Instead, they leveraged Quikly to drive early opt-ins to a sales event with the chance to earn “first dibs” to shop. 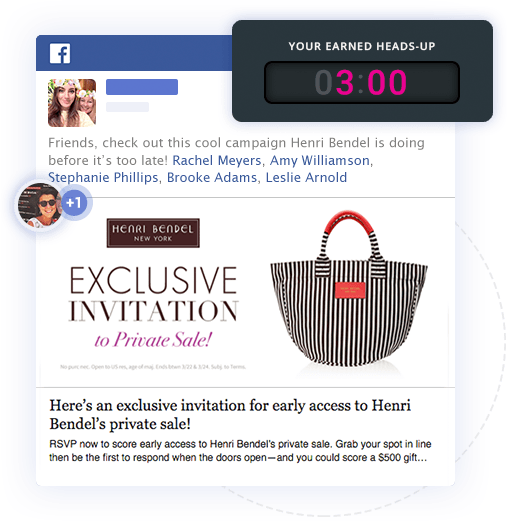 Using Quikly’s social referral mechanic, existing Henri Bendel customers could share a chance to “line up” for the event across Facebook, Twitter, Instagram, and email, which drove increased awareness, excitement, and customer acquisition. Ultimately, Henri Bendel saw a significant boost in purchases during the six hour long early-access window as well as increased purchases from existing customers.